TBE's Social Action Committee and the Green Team, together with the Cabrillo College Student Sustainability Council, are sponsoring a screening of Paris to Pittsburgh, a new National Geographic documentary about climate change. From coastal cities to the heartland, Americans are demanding and developing climate change solutions. As the weather becomes more deadly and destructive, they aren't waiting for Washington to act. Learn their incredible stories in Paris to Pittsburgh and be inspired to create change in our community. Following the screening, former California Secretary of Natural Resources John Laird, 2nd District County Supervisor Zach Friend, and Director of Regeneración-Pájaro Valley Climate Action Nancy Faulstich, will discuss the film and climate change actions in our state and county. For more information, look for Paris to Pittsburgh, Santa Cruz event on Facebook or contact Michele or Bob Kibrick at kibrick@cruzio.com. The entire Santa Cruz community is invited to participate. Please help us spread the word. Get information and sign up here. We continue to explore the rich wisdom of Jewish tradition and the latest contemporary knowledge focusing on becoming happier, stronger and more resilient as we age. We will use the book Wise Aging: Living with Joy, Resilience and Spirit by Rabbi Rachel Cowan and Dr. Linda Thal. The teacher will be world-renowned klezmer musician Joshua Horowitz. Open to those who are intermediate and above on their instruments. 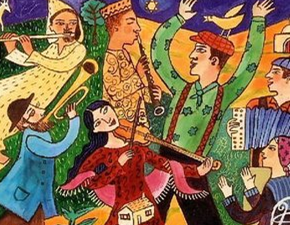 No klezmer experience required. Registration is $25/sliding scale (whatever you can pay) in cash or check, at-the-door only. Listeners are welcome to—donation requested. Light snacks are provided. Please RSVP to jams@klezcalifornia.org and include date/location, your name, county where you live, and your instrument. More information, including links to music that will be taught, will be shared with those who pre-register. Please make your reservations now (see below). We will provide the same delicious and healthy offerings as always. There will also be a raffle with some special prizes you will want to try to snag. 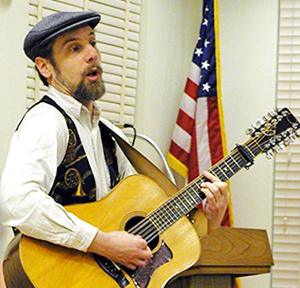 From 1:15‒2:45 PM our fantastic local favorite, Mark Levy, will entertain and enlighten us with music and stories. His theme: ‘Yom Hashoah to Yom Atzmaut: Songs commemorating the darkest time and then the joy of statehood’. No need for reservations to Mark’s program. ***Advance, paid reservations are required for the Luncheon and must be made by May 2nd. Make your online reservation here. Or send in or drop off your payment of $10 to the Temple Beth El office: 3055 Porter Gulch Rd. Aptos, 95003. 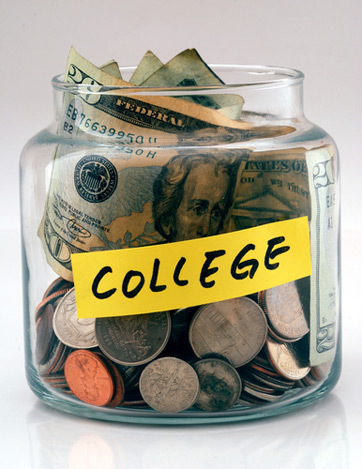 As college costs keep rising, the challenge for many families is ever greater. TBE member & Certified Financial Planner Steve Shapiro will present “10 Ways to Reduce College Costs” on May 8, 7:15pm, at TBE. Drop off your kids at Hebrew High and stay for the fun! This class is a SRFY fundraiser—all proceeds go to support youth group activities! Please send your $18 check, payable to TBE, with SRFY Fundraiser in the memo, to TBE. Procrastination is not your friend and hoping for the best is not a plan. Please RSVP to Sarah Clarkson with the number attending. Don't miss the fun! Summer is coming and Camp Kayetz is eagerly awaiting your kids. This summer's session runs from June 17 to July 12 for campers aged 6‒12 and CITs aged 13‒15. Make new friends and strengthen your old friendships at a traditional, fun-filled camp full of Jewish values and a wide variety of activities. Questions? Contact Camp Director Mimi Guiney: miriambg@sbcglobal.net.